The Ayashi on the sea road race consists of three distances: a 3.8k, a 10k, and a half marathon. Since the 10k and half marathon distances are unofficially reserved for more serious runners, the 3.8k is the best option for families and parents wanting to run with strollers. 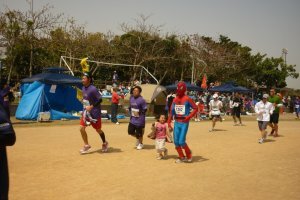 I had the opportunity recently, to report for Stripes Okinawa on the 12th Ayahashi On-the-Sea Road Race held on April 1, 2012. This year’s race drew a record number of runners, including scores from the local U.S. military community. The marked increase in popularity probably has to do with it’s rising reputation as a relatively flat and fast PR (personal record) course, although many runners claimed that they were sold on the idea of being able to run across water; part of the course takes runners over a bridge which connects Yonashiro Town with Heian Island. Click on the website link for some amazing shots of the bridge. 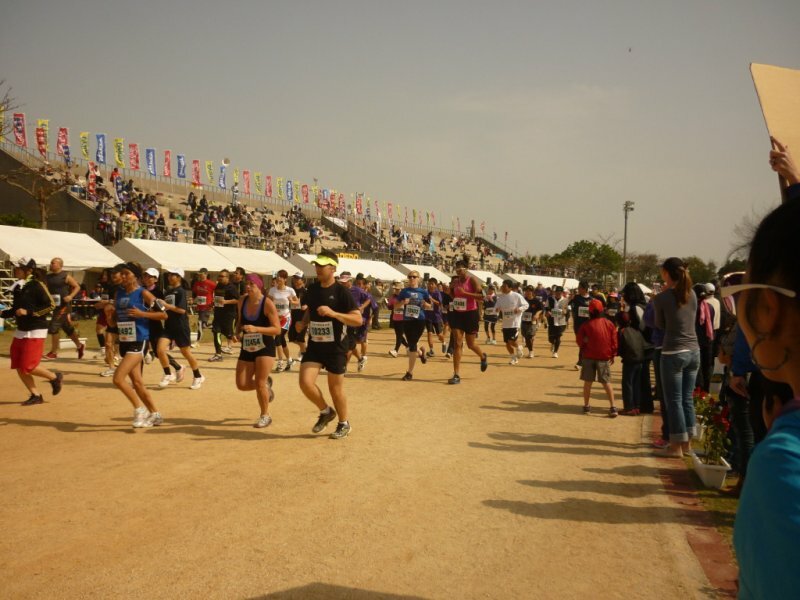 Starting at 9am sharp, the half marathon runners were sent out from the Yonashiro Track and Field Stadium; the races all start and end at the stadium. While the half marathon course is generally viewed as “flat and fast,” some runners warn of strong headwinds going out over the bridge, and potential sunburn and dehydration if it’s a hot day. The 10k race kicked off at 9:20am, and the 3.8k started much later in the morning, at around 11:30am. 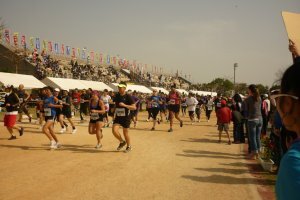 Since the 10k race started later than the half marathon, there was a little bit of congestion as slower 10k runners and faster half marathon runners merged onto the stadium track towards the finish line. Race officials did a great job however of ensuring that runners were moved quickly from the track and into the finishing corrals. Most people I talked to seemed very happy to have signed up for the Ayahashi Road Race. 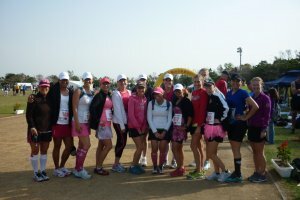 Many runners had attended with either family members or with groups that they belonged to. 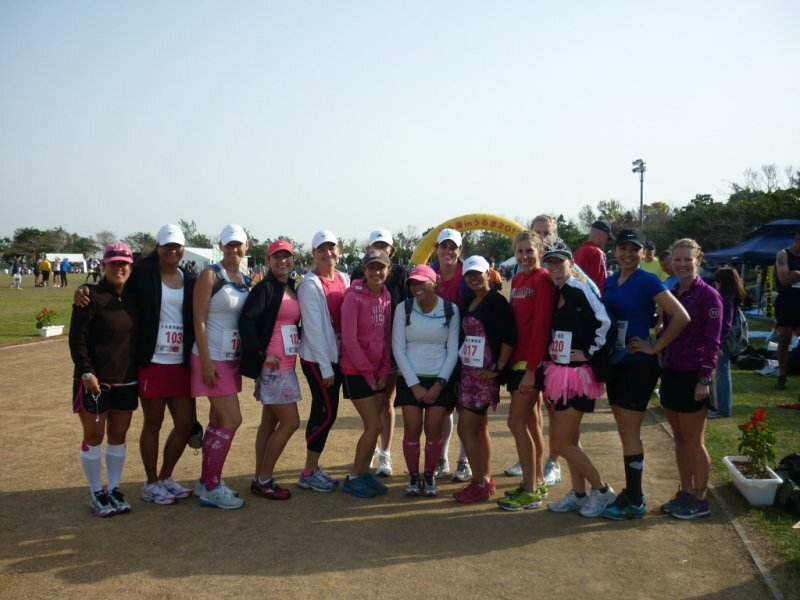 Some of the groups from the local military community that participated in this year’s event included the running groups WOOT and WOOP (Women on Okinawa Trail and Women on Okinawa Pavement), Camp Courtney’s all-female group Team Concentric, Camp Foster’s IPAC (Installation Personnel Administration Center), the running group Stroller Warriors, and mixed gender running group Kickin’Asphalt. When I asked several runners if they would return for next year's race, they all said yes without hesitation. As for myself, I think I would like to try running the half marathon course - if it really is as fast and flat as they say, then this just might be my next PR course! 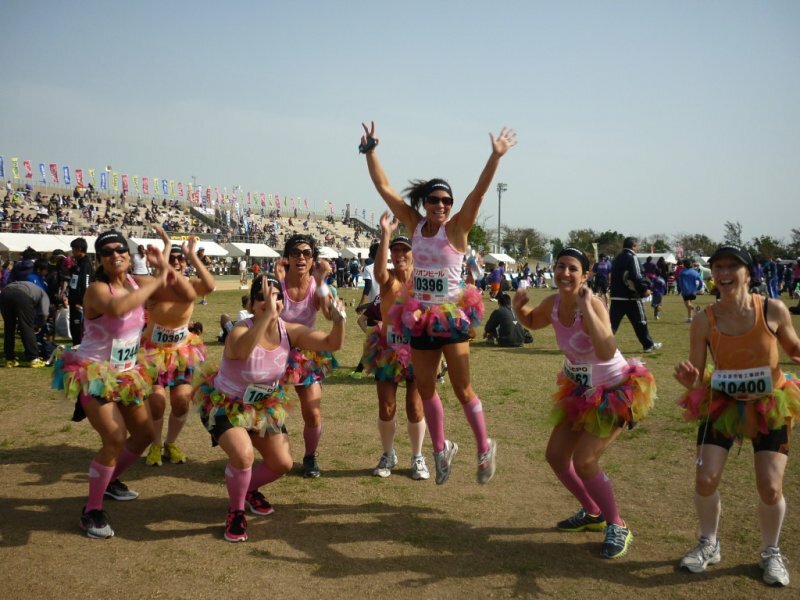 To register for next year's race I would recommend checking the website starting as early as January 2013. 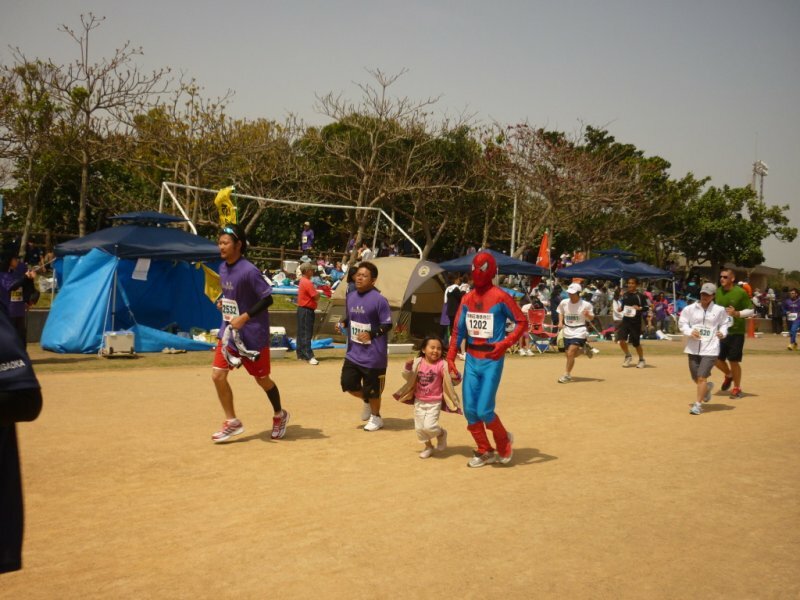 Races tend to sell out quickly in Okinawa, and the Ayahashi race is no exception. Since I wear a few different hats I'm not quite sure how to put myself into any one category, at least when it comes to defining an occupational role. I'm a runner, running coach, blog editor for a women's trail running group, and freelance writer for Stripes Okinawa. I am also a mother of two girls, and the wife of a US Marine. 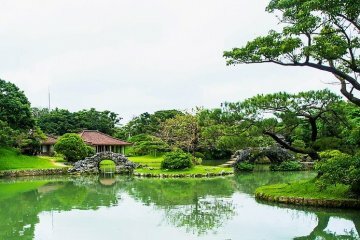 I left my home in New Zealand twelve years ago, and am currently enjoying my ninth year of residency in Okinawa, Japan.